Uni's unique Super Ink is a pigment ink that offers outstanding levels of water, chemical and light resistance. The pigment in Super Ink binds with the cellulose in the paper making the ink permanent once it's dry. This means that your signature is secure. Important information or legal documents can't be changed and your signature can't be removed. 0.7mm Fine and 1.0mm Bold. New ultra-smooth ink provides effortless scratch-free writing. High quality finish with metal clip and ergonomically designed grip. Available in 3 ink colours. 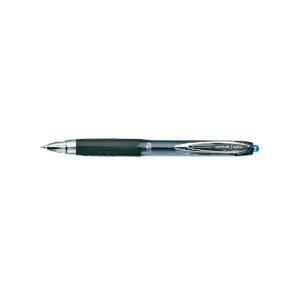 Uni-Ball Signo 207 pens feature uni Super Ink™ that’s permanent once dry so that your signature is secure.